How often have you moved only to vow that you would never move again? It would be nice if we could afford having someone else pack up everything and move it without the least bit of supervision but that’s not practical. Instead, the most affordable approach is to do of most of the packing yourself. There are ways to make this process go a lot smoother especially when you incorporate these awesome hacks. A big role of shrink-wrap can become a very helpful tool for your packing. You can use it to put boxes together that belong in the same room. It also works great wrapped around furniture to keep it from being scuffed and scratched. The important thing about using shrink-wrap is to make sure you get a roller to help with the wrapping. Before you unplug your television, you might want to label each cable and the plug that it goes into. You can also snap a picture of the back of your TV in order to help match it when you reassemble it. It might help to gather up all your remotes in a single bag and carry that with you in your car. That way they won’t get lost among all the other boxes. You can cut down the number of boxes that you are forced to buy by using all your picnic baskets, storage baskets and suitcases to fill up with all your belongings. Suitcases with wheels are great for packing books. The easiest way to pack clothes that are hanging in your closet is to bunch them up and slide them into a garbage bag while they are still on the pole. This becomes an instant garment bag and keeps your outfits from being damaged in the move. You may reach the breaking point the night before the move but you should definitely push on. Packing up remaining items while movers are already on the site is going to add to the chaos. 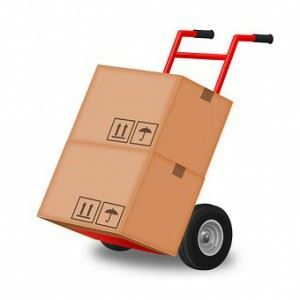 If you start packing a few boxes every day for the 30 days before you move, then you’ll definitely get everything ready. Before you turn in the keys to your old place, you will want to get rid of all the junk you left behind. Anything like old furniture, computers, televisions, curtains or rugs can all be easily removed with one call to Junk King Chico. These are the professional junk haulers who will provide you with an exceptional pair of movers and a big truck. Hiring Junk King Chico to get rid of your rubbish is one less thing you have to worry about during your next move. This entry was posted in Chico Junk Removal and tagged clutter, Junk King Chico, moving, rubbish on June 26, 2017 by Junk King. Last updated June 26, 2017 .